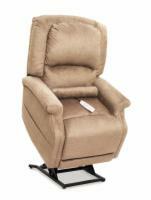 Enjoy a long list of great features for an incredible value when you purchase the AmeriGlide PR340 Heat and Massage Lift Chair. This 3 position model comes standard with remote control operated lower back heat and vibrating massage options that will sooth your muscles and joints as you recline and relax. Other unique features include an overstuffed seam back and seat that is constructed using an innovative spring system that offers the perfect combination of support and cushioning. 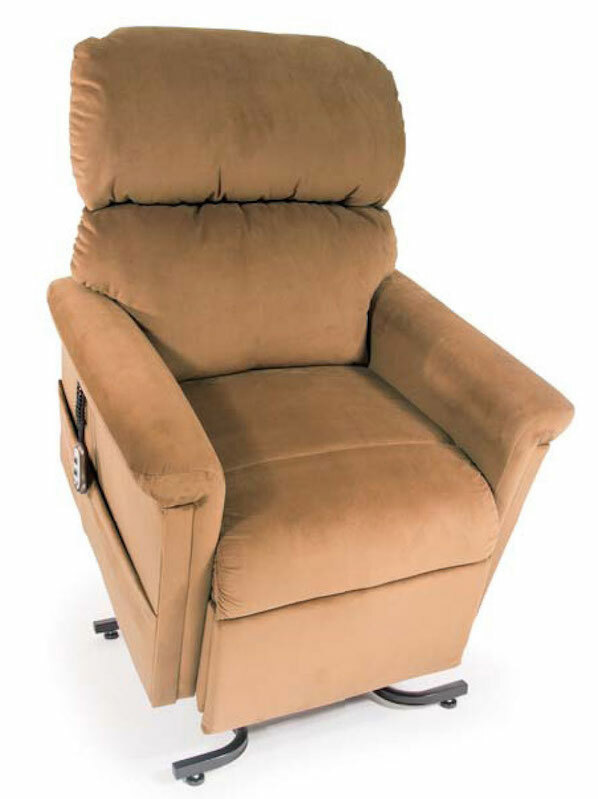 This durable and stylish lift chair recliner will also allow you to easily sit and stand without assistance, making it possible to retain your freedom of mobility. Seat to Top of Arm: 21"